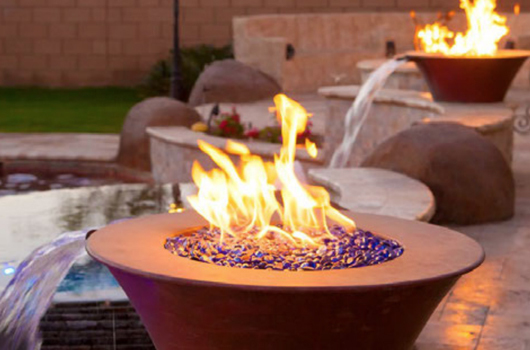 Top Fires manfuactures fire accents to help make your backyard special. 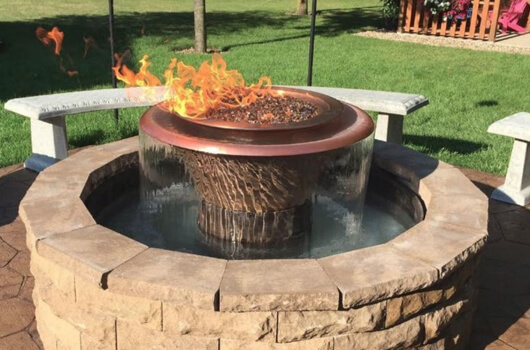 Fire pits and fire tables come in a variety of materials including copper, stainless steel, corten steel and powder coated steel. Fire bowls and fire and water bowls add an amazing display piece for your property. Also created by Top Fires are fire towers and torches which can not only add light at night but help create an inspiring atmosphere. Concrete bowls come in a variety of colors and materials including concrete and copper. All fire bowls and fire and water bowls include an LC Certified Match Lit Kit or LC Certified Electronic Ignition System.